I'm a huge fan of hashtags! 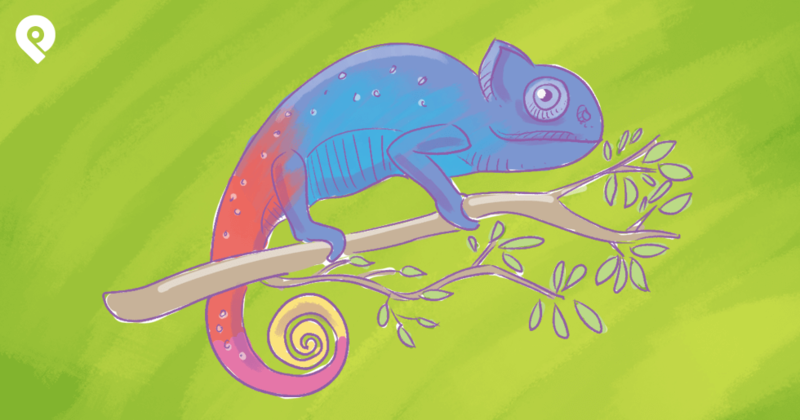 They boost my reach on social media & help me monitor what my target audience is talking about. 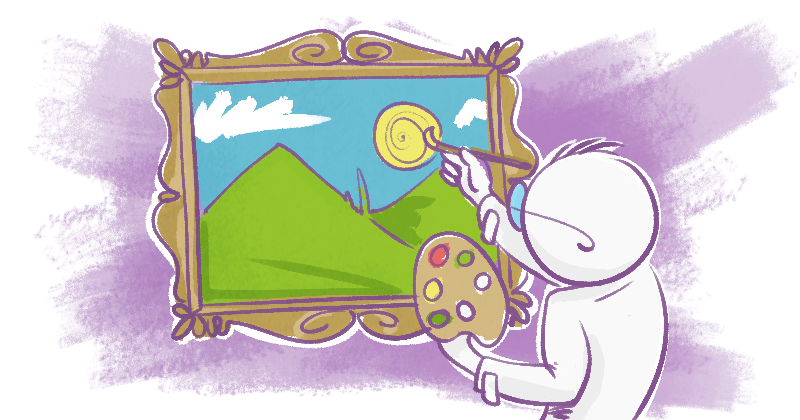 But I also use hashtags when brainstorming new blog ideas & optimizing content for the right marketing channels. 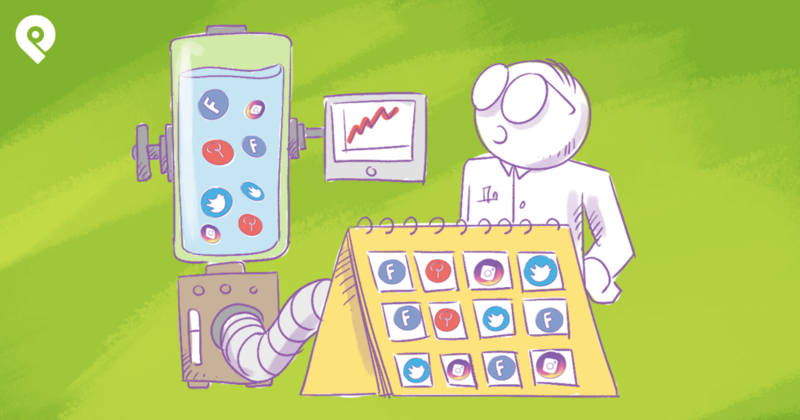 In this post, I analyze how these hashtags work for me & how you can use hashtags to crank up your content marketing! Let's get started. Below are the 5 kinds of hashtags I've had the best results with. Researching hashtags related to the ones you're currently using the most gives you insight into current trends & "bordering" concepts. 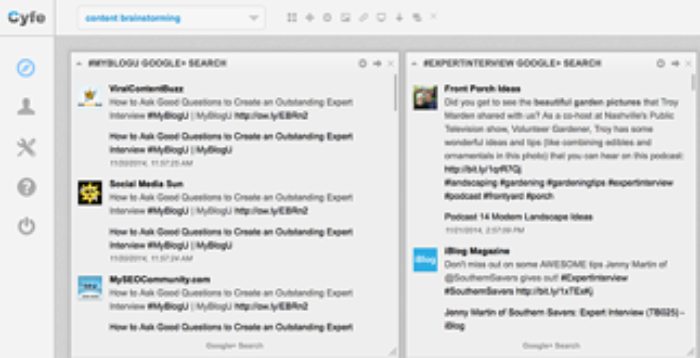 I've always used Google+/Explore to find new trends related to my topics. 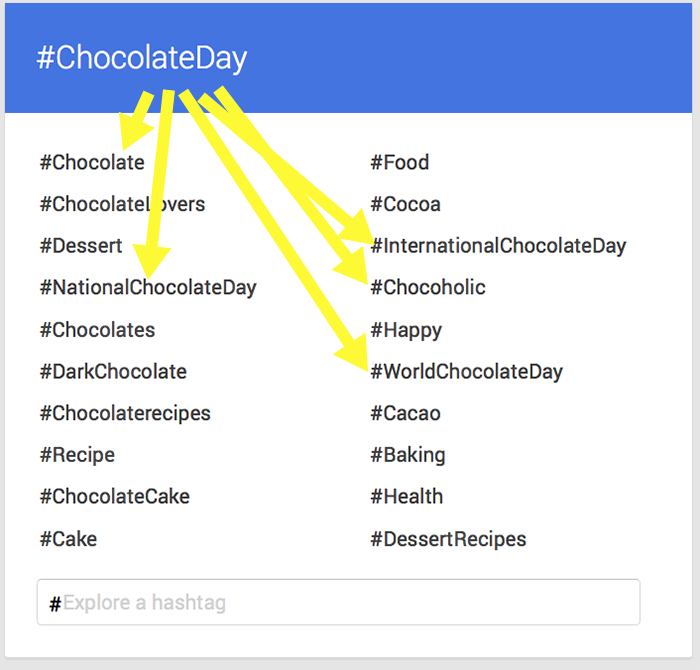 Since hashtags on Google+ are very time-sensitive, they reflect what's trending right now -- which makes them useful for finding topics that'll resonate with your audience. 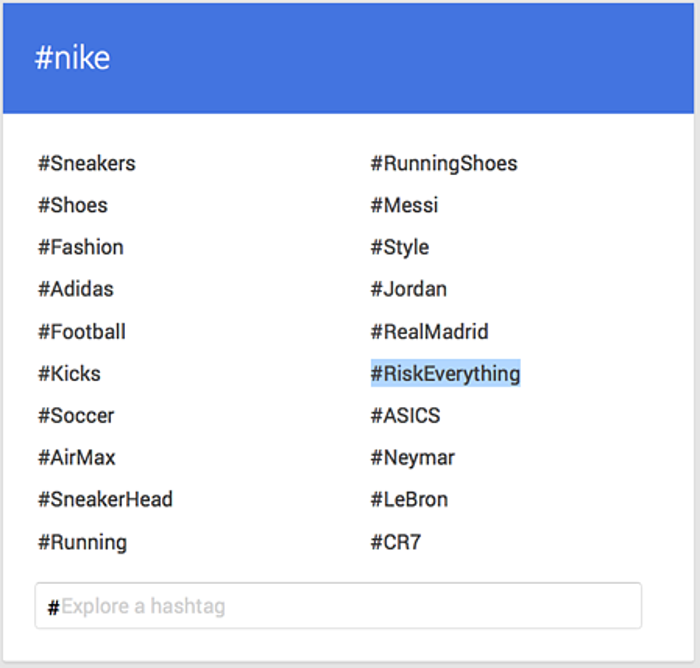 Google+ hashtags work great for discovering concepts on which to base new content. Likewise, they're my timesavers when it comes to spotting niche slang & geek speak. When planning content a week or 2 ahead (or just brainstorming), be sure to check Google+ hashtags for the most popular topics. The size of the circle represents the frequency of common mentions. 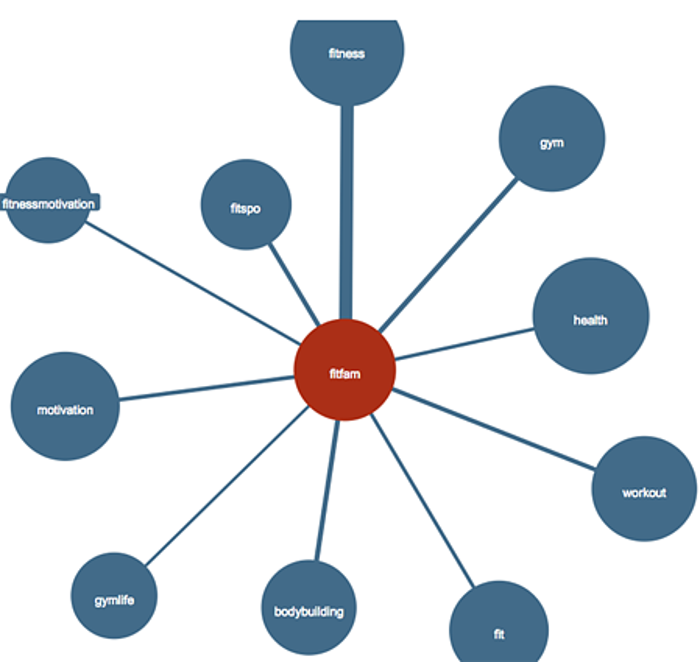 And clicking any circle builds a similar graph for a new hashtag. 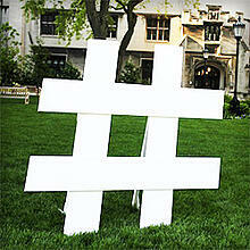 Local hashtags are very powerful on Instagram which made them more popular on Twitter & Facebook, too. 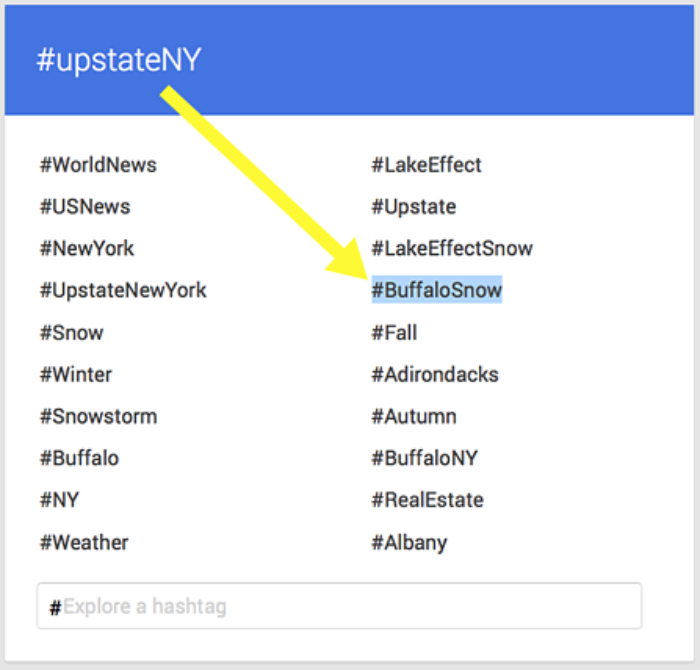 There aren't many tools for finding local hashtags except your own knowledge & Google maps. Turn these important local topics into hashtags to search on Twitter & Facebook. And make note of the hashtags that provide the best results. 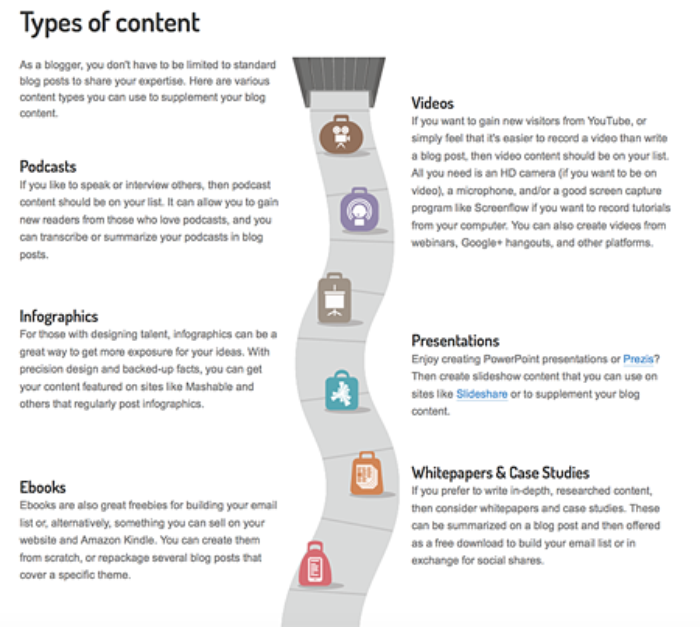 Run your best finds through Google+/Explore to find related concepts & trends. Almost every industry has huge yearly events! And hashtags are the best way to build relationships with event speakers, industry influencers & guests who you could turn into customers. This is especially handy if you don't plan to attend the conferences. 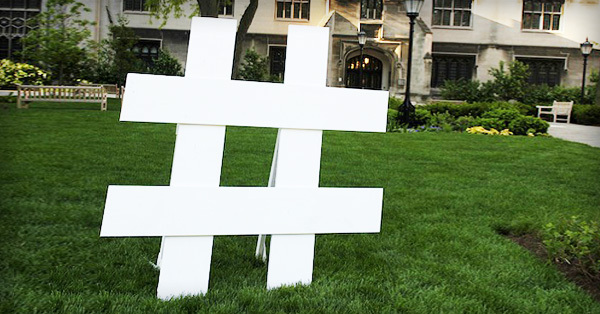 Event organizers usually market their hashtags very well & using the hashtags in your content is one of the best ways to join the conversation. Event organizers launched this content a few weeks before the conference. And it was a hit! 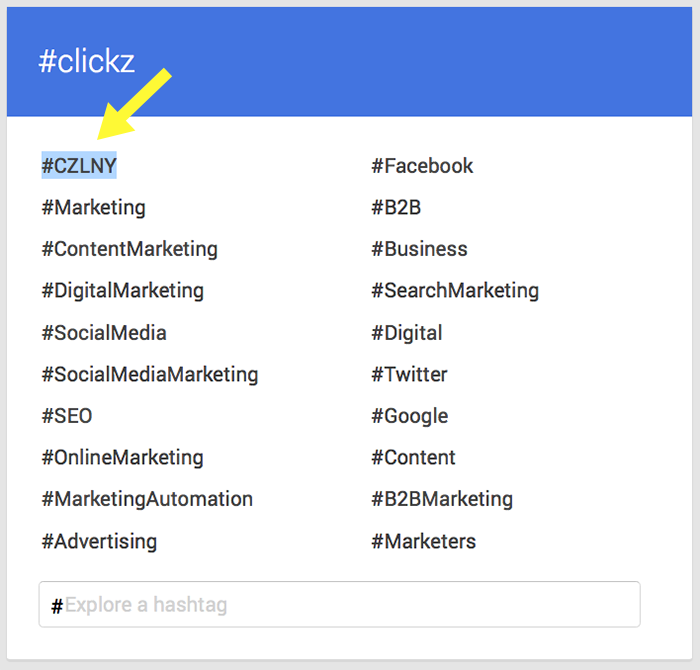 Remember, running any official conference hashtags through Google+/Explore will give you even more marketing ideas -- including lots of other tags. Since these holiday ideas never get stale, you can pretty much recycle the same themes every year. 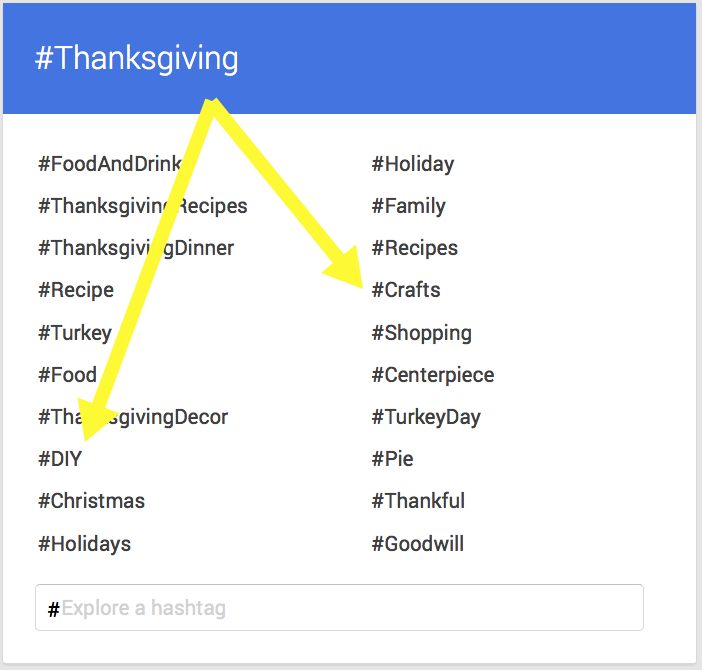 The right hashtags will help you get lots of traction for your holiday posts. You can also use hashtags to capitalize on weird (unofficial) holidays. National Chocolate Day content, anyone? Yum! People type #Nike when they tweet about fitness charity events Nike supports, when they share their marathon results or when they blog about their fitness tips. 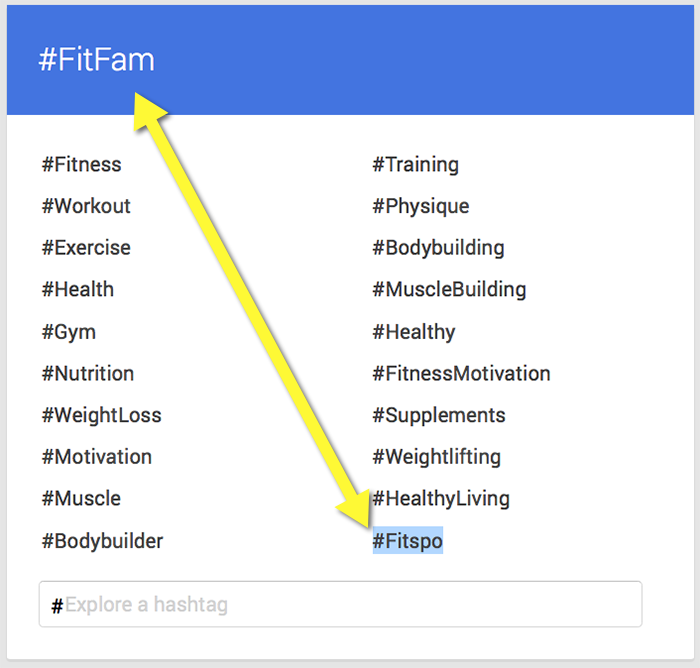 That's why it's a great hashtag for those in the health or fitness niche. 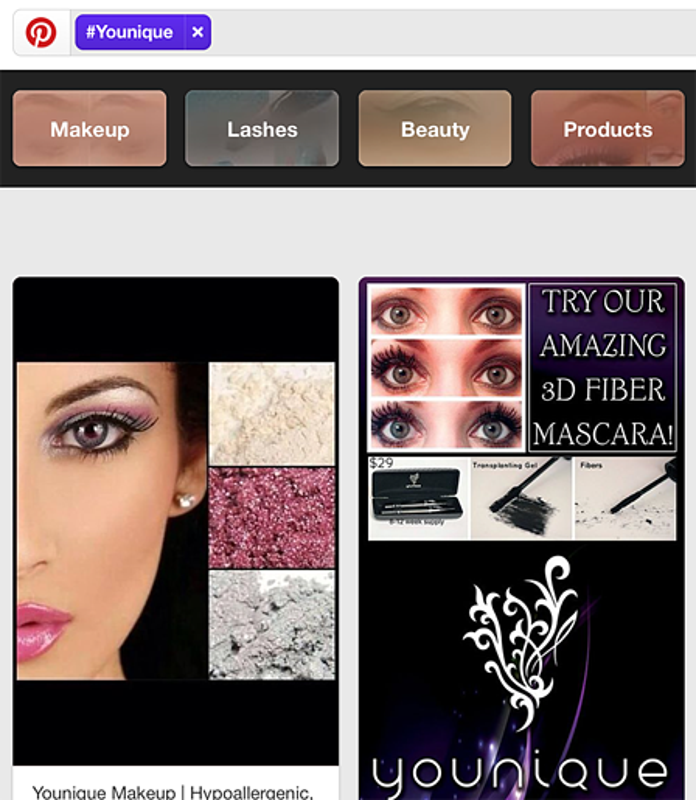 This works especially well on Pinterest, where brand hashtags are popular & powerful! What about you? 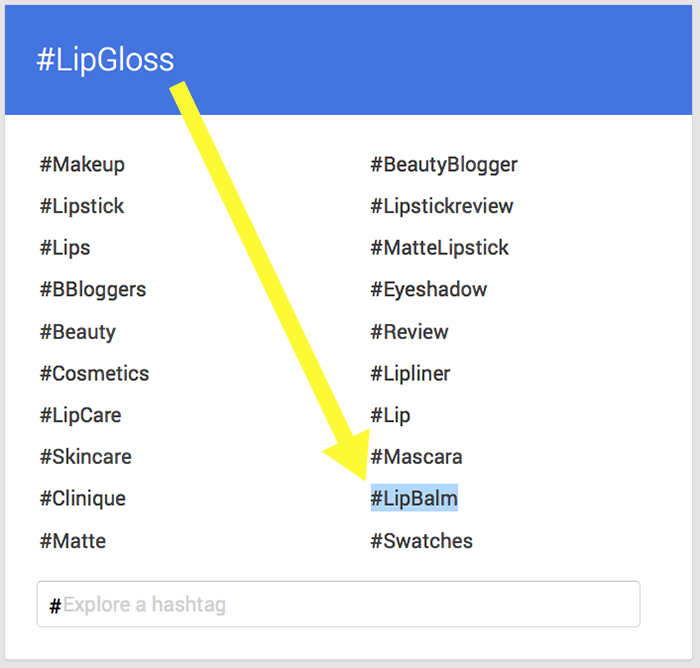 How do you find popular hashtags in your industry or niche?